David Schamp, MD, chief of electrophysiology at MedStar Union Memorial Hospital, is a clinical cardiac electrophysiologist, a heart expert who specializes in heart-rhythm disorders, known as arrhythmias, as well as the treatment of advanced heart disease. David Schamp, MD, was named a 2017 "Top Doc" by Baltimore Magazine for interventional cardiology. 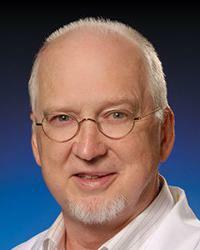 Dr. Schamp is board certified in internal medicine, cardiology and cardiac electrophysiology. Dr. Schamp has been practicing medicine for more than 30 years. He chose to specialize in cardiology because it is a field of medicine that is both extremely rewarding and constantly expanding. He's gratified by emerging treatment and technological advances including implantable devices to treat heart failure and ablation to treat atrial fibrillation that allow him to offer his patients a full range of treatment options. In addition to his commitment to provide leading-edge treatment to his patients, he is equally committed to his role as a care provider, taking the time to get to know his patients and their health history as thoroughly as possible. In fact, he considers this his most important role as a physician. Dr. Schamp has participated in a number of research studies that explore cardiovascular disease, cardiac electrophysiology, catheter ablation, cardiac drug trials and cardiac resynchronization. He is a fellow of the American College of Cardiology and Heart Rhythm Society.